ASUS and Verizon will be launching a new premium tablet this summer. Famous tech expert Even Blass posted a couple of pictures of the ASUS ZenPad Z8 ZT582KL on Twitter. 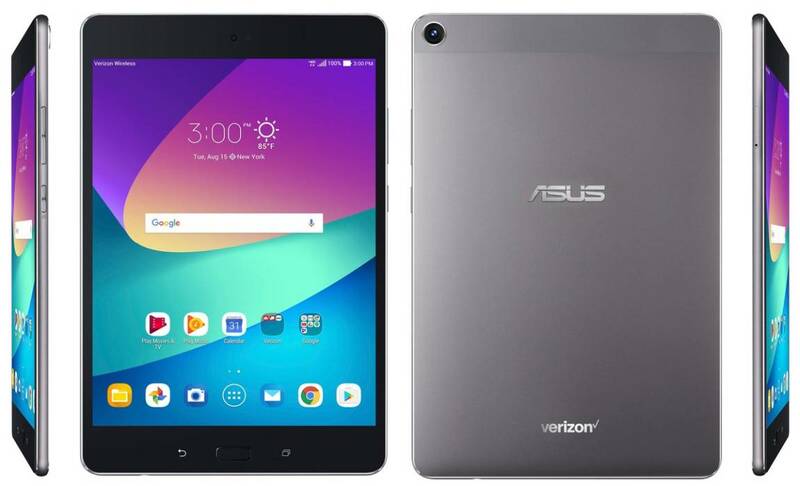 It seems to be a Verizon branded version of the just announced ASUS ZenPad 3S 8.0. While the UI on top of Android 7.0 Nougat looks a bit different, the internal hardware should be identical. I already had the chance to check out the ZenPad 3S 8.0 in detail during Computex 2017, a trade show in Taiwan where ASUS launches most of their devices that will be released for the holidays. I’m pretty sure that the ZenPad Z8 and ZenPad 3S 8.0 are basically the same tablet. That’s what they did last year with the ZenPad Z10 and ZenPad 3S 10. The ASUS ZenPad 3S 8.0 is an 8 inch tablet that’s an interesting competitor to the iPad Mini and Huawei MediaPad M3 (Review). It comes with a full metal body and feels quite high end. The IPS display is very nice as well, it has a resolution of 2048 x 1536 and icons and text look very sharp. Inside runs upper middle class hardware including the Qualcomm Snapdragon 652 which is a quad core SoC. Depending on the model you’ll be able to get it with 3GB or 4GB of RAM and 32GB or 64GB of internal storage. It’s basically a higher end version of the ZenPad 3 8.0 that was released last year with a plastic body and a Snapdragon 650. While it was running Android 7.1 Nougat the ZenUI seemed to lag occasionally. Since this has not been the case with the ZenPad 3S 10 running Nougat, it’s probably just an issue with the preproduction model. Well, that’s what I hope.